What is (still) waiting to be explored in these few verses? Did the act of creation come to completion or is there evidence that the time span depicted in this account is still on-going? And if so, where are we on this time axis? Along our pathway of discovery, Torah principles and patterns were helpful in answering some of these questions. One example, is the hidden mystery of Succot and its relationship to the seven days of creation, with an appended eighth day. “Where did theses ‘realities’ originate?” Does the creation account afford a glimpse into their origin? These and some other topics are explored in this short work. But as we only see through a glass darkly, any revelation may only be seen like “trees walking” (ref. Mark 8:24). 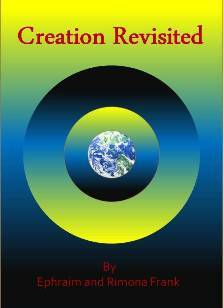 “Creation Revisited” will not be published in hard copy form. Instead, it can be downloaded and saved to your computer to be read, copied or printed as you see fit.